Northallerton, the administrative centre of North Yorkshire and historically the capital of the North Riding can trace its origins back to Anglo-Saxon times. Originally called Alverton or Aelfereton, the name is Anglo-Saxon and means the farm belonging to Aelfere, a relatively common Anglo-Saxon personal name. By the fourteenth century the place was called Northallerton to distinguish it from other places in Yorkshire called Allerton. 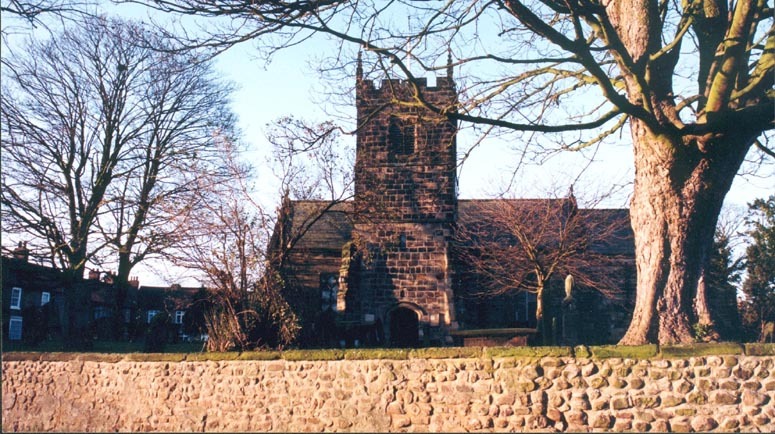 Anglo-Saxon sculpture has been found in the church of All Saints at Northallerton, suggesting that this has long been a place of some importance. The settlement of the Anglo-Saxons here was later followed by the Vikings, who made Northallerton a Wapentake or centre of an administrative district where Vikings would assemble to discuss local affairs. Allerton shared its boundaries with the neighbouring wapentakes of Sadberge, across the Tees, Gilling in Swaledale, Birdforth, and Langbaurgh. Fascinating Viking sculptures called hogbacks have been found at Northallerton’s church in addition to those of Anglo-Saxon origin and have also been found at the nearby village of Brompton. Romanby, to the south of the town is a further indication of Viking setlement, taking its name from a Viking called Hromund. It has nothing whatsoever to do with the Romans. Allerton’s Viking wapentake later became Allertonshire and later still , the Liberty of Allerton, reflecting this town’s important status. The main feature of Northallerton today is its broad main street, similar to those at Yarm and Bedale. This curving High Street is nearly half a mile long and has many interesting shops, but the town and as the town was historically known as a coaching stop it has some notable pubs and inns. One of the oldest is the Fleece, where Charles Dickens stayed while writing Nicholas Nickleby. Northallerton was once the site of a castle dating from the 12th century, but this fell into ruins and now only traces can be seen in the cemetery of the church. During the Civil War King Charles I was imprisoned in a house opposite the church. Twelve miles of flat, but agriculturally rich countryside formed by the most northerly reaches of the Vale of Mowbray link Northallerton to the Darlington area in the Vale of the Tees to the north. To the east of Northallerton are the North York Moors always providing a stunning and beautiful backdrop to the vale and to the west we can see the Pennines which play host to the valleys of Swaledale and Wensleydale. The flat Vale of Mowbray is the northerly extension of the Vale of York that separates the dales and Pennines in the west from the North Yorkshire Moors in the east. Northallerton is one of North Yorkshire’s most northerly towns and only eight miles away to the north we find the southern tip of the Sockburn peninsula, which was historically County Durham’s most southerly point. The peninsula is formed by a long snaking southward pointing loop of the River Tees and is thus surrounded by Yorkshire. In legend this area was inhabited by a notorious beast known as the Sockburn Worm which seems to have its roots in Viking legend.. The Vale of York hereabouts is sparsely populated, despite its relative proximity to the more urbanized regions of Darlington and Teesside. Villages in the Northallerton area include Great Smeaton, Danby Wiske and Appleton Wiske. The River Wiske is a little river which rises to the north east of Northallerton at Osmotherley in the North Yorkshire Moors. It curls its way to the north, coming within a few miles of the River Tees before winding its way down the western flank of Northallerton to join the Swale. As with other parts of Yorkshire Viking place-names are abundant around Northallerton. The aforementioned Danby for example means farm of the Danes but other examples include Kirby Sigston, Hornby, Romanby, Warlaby, Crosby, Newby Wiske and Kirkby Fleetham. Strangely these Danish type place-names disappear as we cross the Tees into County Durham. Two miles north of Northallerton, near the Darlington road is a stone obelisk marking the site of the Battle of the Standard. Here near Cowton Moor on the 22 August 1138 the Scots under King David were heavily defeated by the barons of the North of England. King David was supporting the interests of Matilda, daughter of Henry I against the claims of Stephen and had penetrated into the north of England with his army. Thurstan, the Archbishop of York set up a ships mast tied to a four-wheeled carriage with church banners (Saints’ standards) tied to it prior to the battle. Thurstan and the barons were so determined to drive the Scots out of England that they left their horses behind to make retreat impossible. Around 12,000 Scots were killed in the battle, mainly under the heavy onslaught of the English archers. In legend Osmotherley on the fringe of the Cleveland Hills to the east of Northallerton, was associated with a young Saxon prince of Northumbria called Osmund. The prince was warned by an astrologer of an evil curse which would cause him to be drowned on a certain day. When the day arrived Osmund’s mother took him to Roseberry Topping, in the Cleveland Hills, where it was thought he would be safe from danger. Strangely, by some miracle as the poor prince lay sleeping on the top of the hill, a huge fountain of water gushed from its distinctive summit rock and drowned the young man. Osmund’s body was taken to Osmotherley for burial and that is how it is said to have got its name – from Osmund lies here – corrupted to Osmotherley. Sadly there is no evidence to support this legend. It is far more likely that Osmotherley means the clearing or ley belonging to a Viking called Asmund or a Saxon called Osmund, but no proof that Osmund was a Saxon prince. There have have been a number of variations in the spelling of the name over the centuries including Asmundrelac, Osmundeslay, Osemunderl, Osmonderlay and Osmthrly. At Mount Grace Priory near Osmotherley on the edge of the moors, we can find the remains of the finest example of a Carthusian monastery in England. It was one of only nine Carthusian priories (known as Charter Houses) in the country and was the only one in Yorkshire. Mount Grace was founded by Thomas of Holland, the Duke of Surrey (nephew of Richard II) in 1398. Thomas was later executed at Cirecnester for plotting against Henry IV and was buried at Mount Grace. The Carthusian order of monks obeyed a strict order of silence and monks were strictly separated from one and other in cells. Each cell had a little garden attached and a hatchway for food to be passed to the monks. Around twenty monks were based at the priory and they only ate together on Saturdays. Thirsk has a Viking name and derives from the word Thraesk meaning lake or fen. It is now a small market town located within the Vale of Mowbray, to south of Northallerton, north east of Ripon and north of Easingwold. This is a busy market town with a large cobbled market square. There are interesting inns and houses many of the eighteenth century when Thirsk was an important posting station. Thirsk is divided by the Cod Beck, a tributary of the River Swale which may have formed the marshy ground of Viking times. By the eighteenth century Thirsk had developed into an important coaching stop at the centre of a crossroads and was noted for its many coaching inns. Among the old inns in Thirsk still in existence are the eighteenth century. Thirsk’s oldest inns include the Three Tuns dating back to 1698 and The Golden Fleece that is thought to date back to Tudor times. In the famous James Herriot stories created by the writer Alf Wight (196-1995), Thirsk is the fictional ‘Darrowby’, a central location in the tales featuring the activities of a Yorkshire vet. The World of James Herriot Museum in Thirsk occupies the original surgery of Alf Wight who lived in Thirsk for more than fifty years. Wight was born in Sunderland but grew up in Glasgow where he qualified as a vet in 1939. He was briefly a vet in Sunderland before heading for a practice in Thirsk in 1940 where he would live the rest of the days. He retained a passion for Sunderland Football Club throughout his life. Wight’s books which were famously adapted for television, capture life in the rural farming communities of North Yorkshire in times gone by. Thirsk is also famed as the birthplace of Thomas Lord (born 1755) the founder of Lords Cricket Club in London. Lord was born at 16 Kirkgate and this house is now the home of the Thirsk Museum which celebrates the local history of the town. It includes historic farming items and cricket memorabilia. Apart from the racecourse where racing has been held since 1855, the best known feature of Thirsk is the church of St Mary, a large church of cathedral proportions described by the architectural historian Sir Nicholas Pevsner as the most spectacular Perpendicular church in the North Riding of Yorkshire. The church was begun in 1430 on the site of a chantry founded by Robert Thirsk earlier that century. It was completed in the sixteenth century. Thirsk is surrounded by Place names of Danish origin, not surpirsing when we consider Thirsk’s location in the Vale of York to the north of York, the Viking capital of Northern England. Most of the Danish place names are betrayed by endings in ‘by’ signifying the site of a Danish farm or village. Examples include Borrowby, Bagby, Thirkleby, Thirlby, Cowesby, Thormanby, Baldersby, Busby Stoop, Kirby Wiske (on the River Wiske) and Boltby. Sowerby now a part of Thirsk has a name which derives from Saur-by meaning the muddy or boggy farm, a reminder that Thirsk itself means ‘marshy place’. Ainderby Quernhow, about five miles west of Thirsk, just over the River Swale, is also a Viking place name and means the village belonging to Eindrithi, a Viking whose name meant ‘sole-ruler’. Quernhow, which has also been spelled Whernhowe and Whernou means mill-hill, the first element deriving from the Old Norse Kvern, a mill stone. How or Howe, was an old word for a hill and is a common element in Yorkshire place names. The Quernhow at Ainderby is a small mound on the nearby Roman Road called Dere Street, which marked the boundary between the parishes of Ainderby and Middleton Quernhow. Ainderby Mires and Ainderby Steeple (near Northallerton) are also in the district. The word steeple actually refers to the local church tower (it doesn’t have a spire). Mires of course refers to marshy mires. Thirsk is centrally located in the flat Vale of Mowbray with the lowland sections of the River Swale only five miles to the west. In the other direction the North Yorkshire Moors are only two or three miles to the east and rise suddenly from the lowland district. This is in marked contrast to the more subtle appearance of the Pennines in the dales to the west. Sutton-under-Whitestoncliffe is situated in the Hambleton Hills on the edge of the North Yorkshire Moors near one of the most dramatic changes from lowland to upland. The Hambleton Hills give their name to a large administrative district of North Yorkshire centred on Northallerton. Hambleton means scarred hill. Sutton-under-Whitestoncliffe has an Anglo-Saxon name that translates as ‘The southern farm near the white stone cliff’. It claims to be the longest place name in England and rivals Blakehopeburnhaugh in Redesdale, Northumberland, but Sutton might well be disqualified on the basis of its hyphens. Nearby we find a number of places which have Viking origins – Osgoodby, Thirkleby, Bagby and Thirlby. Sutton-under-Whitestonceliffe is famous as the location for the impressive Sutton Bank, home of a gliding club and the very steep incline of the A170 road that struggles to make it way up the hill on its way east towards Ryedale and Scarborough. It is well worth the climb. There are excellent views from Sutton Bank of the surrounding countryside down towards the vale. Close by the neighbouring Roulston Scar is where the White Horse of Kilburn is cut into the escarpment and can be seen from miles around. This is not an ancient hill carving, it only dates from 1857, when it was carved by the village school master Thomas Hodgson with the help of the village school boys. The horse is 314 feel long. The village of Kilburn lower down the hill was also famous as the home of Robert Thompson (1876-1955) known as Mousey Thompson, a furniture maker who incorporated a carving of a mouse into his work as a trademark. A plain of land on the hill top above the horse at Roulston Scar does have ancient connections however. In recent years a huge iron age hill fort was discovered here that more than rivals North Yorkshire’s other great iron age fort at Stanwick near Scotch Corner. Covering about 53 acres it consisted of ramparts stretching more than a mile and dates from around 400BC. The A19 road heads south from Thirsk to York bypassing the town of Easingwold. This town’s main feature is its cobled market square and its fine Georgian buildings. A wold was historically a piece of uncultivated elevated country with small rolling hills. Easingwold was the wold belonging to an Anglo-Saxon called Easa. The hilly areas around Easingwold and Coxwold can be described as wolds, but the true Yorkshire Wolds are much further to the south east in East Yorkshire, between Hull, York and Malton. The village of Crayke to the east of Easingwold has a peculiar history because it was once a small isolated and quite separate district which belonged to the Prince Bishops of Durham. Crayke Castle, which consists of two separate fifteenth century buildings was a house of the bishops. Other isolated places outside of County Durham which were historically part of the Prince Bishops’ territory included Holy Island (Islandshire), Bedlingtonshire and Norhamshire in Northumberland. Crayke’s name derives from a Celtic word Kraik meaning a rock. It has the same meaning as Craig in Celtic place names. Coxwold, about three miles south of Kilburn was once the wold belonging to an Anglo-Saxon called Cucha. It has a fifteenth century church with monuments dedicated to the Belasis family. Three sites of historic interest lie close to Coxwold. They are- Shandy Hall, Newburgh Priory and Byland Abbey and a little further to the east are Ampleforth and Gilling Castle that are covered in the Ryedale section. Shandy Hall was the home of the writer and Vicar of Coxwold, Laurence Sterne, from 1760 until his death in 1768. His famous works were ‘Tristram Shandy’ and a ‘Sentimental Journey’. Shandy Hall was a fifteenth century timber framed house, later modified by Sterne who named it Shandy Hall. Newburgh Priory was founded by Augustinian canons around 1150 and passed into the hands of the Belasis family in 1529 (later the Lords Fauconberg). It was converted into a house by the family but retained the name Newburgh Priory . The first Belasis to own the priory was Anthony Belasis, chaplain to Henry VIII. The house still remains in the hands of Anthony’s descendants. One Lord Fauconberg married Oliver Cromwell’s daughter and it is claimed that a tomb within the house contains Cromwell’s body. Byland Abbey, once Britain’s largest Cistercian church, lies to the north of Coxwold in the village of Wass (an Old English word for a swamp). Byland, now a ruin was founded in 1177 by monks from Furness in Cumbria, although the first site they chose was near Helmsley in Ryedale. This location caused confusion for the monks when the bell was tolled at nearby Rievaulx Abbey , so the monks moved to their present site. Their former location is called Old Byland.